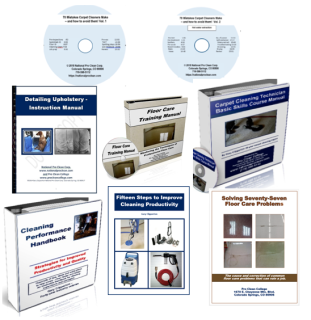 Growing a successful cleaning business necessitates wearing several hats. Often, we get bogged down with specific challenges and develop tunnel vision. Profitability is maintained by continual focus on basic business fundamentals. Here is an abbreviated description of four areas that require vigilance to keep momentum moving in the right direction. Marketing includes daily pursuit of marketing plans and goals, creating and executing advertising campaigns, networking and canvassing to promote the business, performing SEO, constantly following up with prospects, and improving sales skills to book more jobs. Bidding requires accurate surveys, which in the commercial arena encompasses conveying a professional image and demeanor. In addition, proposals and pricing efforts include - precise cost projections, understanding customer needs, improving presentation skills, and consistently tracking job profitability. Managing requires evaluating Key Performance Indicators, using a system to increase account retention, maintaining financial records, conforming to all legal requirements, hiring new workers, training crews, managing, motivating and replacing workers, overseeing office operations, tracking jobs, diplomatically handling customer complaints, all while maintaining integrity. Production and operations requires ongoing skills training at all levels, improving productivity, selecting superior cleaning chemicals and equipment, delivering quality cleaning results, and keeping the business on-track by delivering what you have promised. So if your business is not continually moving ahead, it may be time to revert back to basics, and check your priorities and follow core competencies. Covering all of your bases and tending to the condition of your flocks is all part of the success formula.